There’s nowhere quite like Paris in springtime. 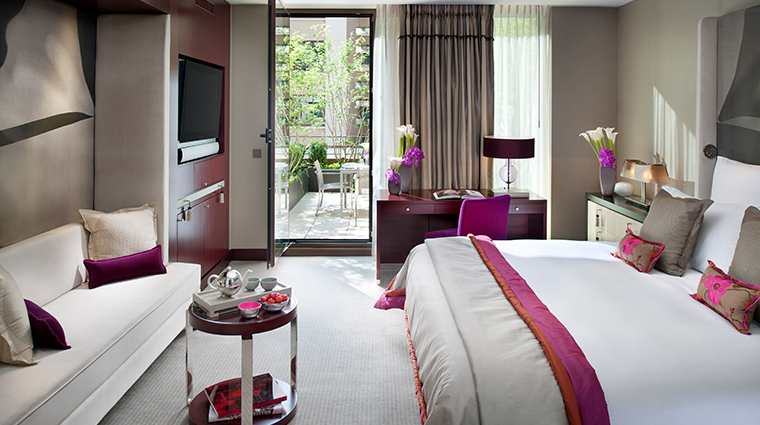 Experience the city’s magnetism for yourself when you book Forbes Travel Guide Five-Star Mandarin Oriental, Paris’ One More Night offer. 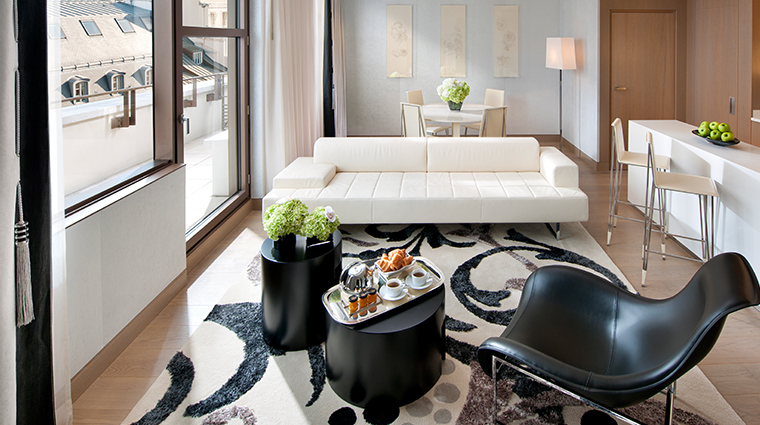 With the deal, when you score a two-night getaway, you earn a gratis third evening. 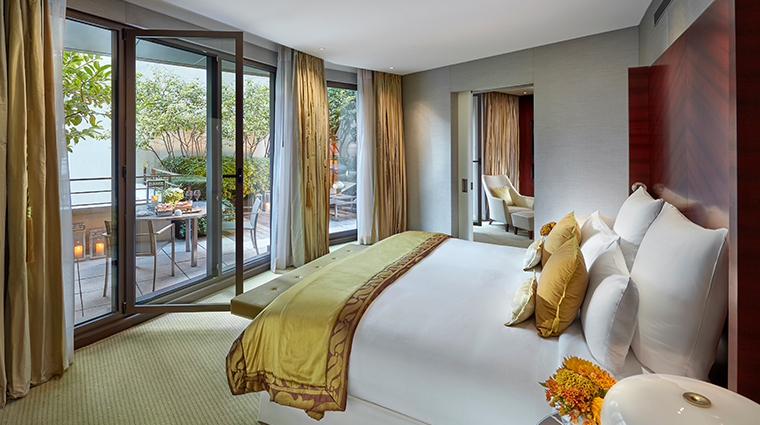 Spend your extra hours exploring nearby attractions like the Louvre and Musée d’Orsay, or simply lounge among the flowers in the hotel’s picturesque central garden. 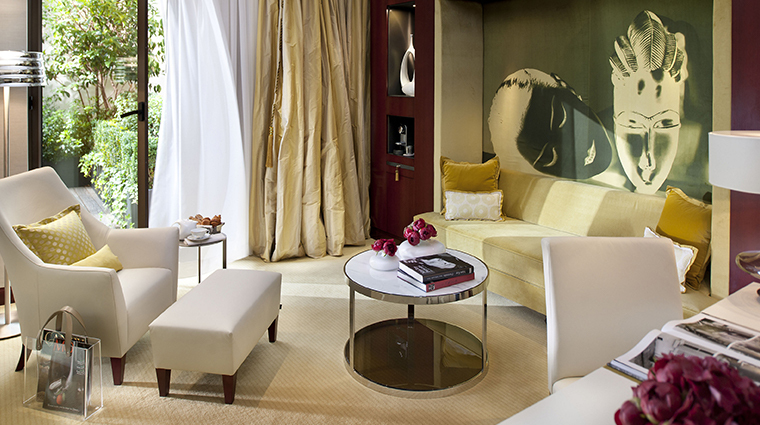 Mandarin Oriental, Paris opened in 2011 as the brand’s first French hotel, and one of only a handful in Europe. The storied building has been in use since the 16th century, serving as a monastery, theater and royal riding school. Its deep historic roots no doubt contribute to its status as one of just a few elite Parisian hotels given the “Palace” distinction by Atout France, the French Agency for Tourism Development. 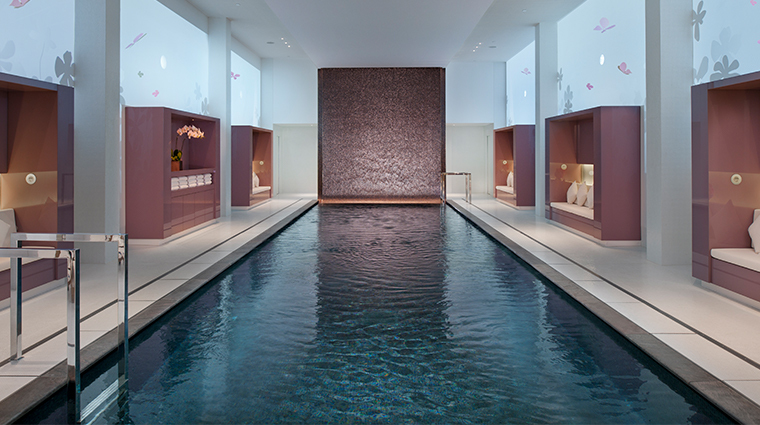 Located on along rue Saint-Honoré, one of the oldest streets in Paris, Mandarin Oriental sits among mansions from the 17th and 18th centuries, as well as many of the top names in jewelry, fashion and art. 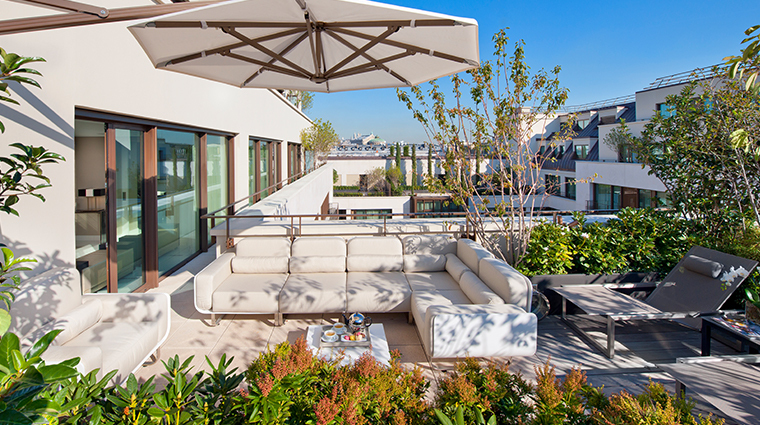 A short stroll from the Louvre, Tuileries Gardens, Musée d'Orsay, Palais-Royal and Place Vendôme, the hotel is in the heart of the city and close to some of Paris’ most popular sites. There is a garden located in the middle of the hotel where pockets of green — ivy, star jasmine, camellias, olive branches — surround a black marble fountain in the center, which manages to create a sense of serenity in a city of millions. 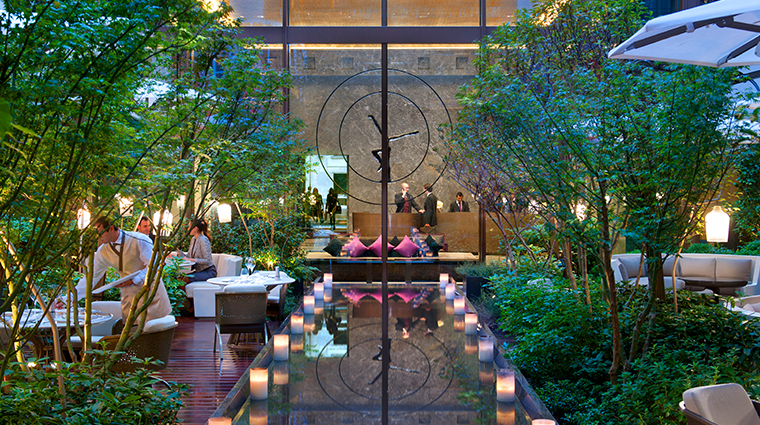 Within the Zen-like garden is a giant, whimsical birdcage known as La Table du Jardin. 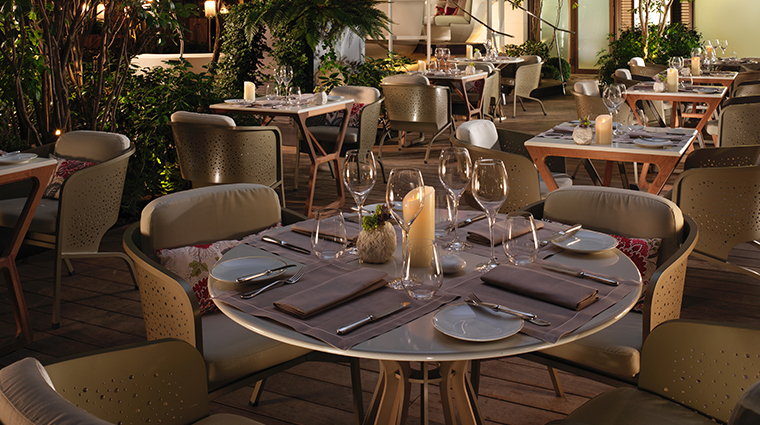 It seats six guests for a all-out stunning dining experience. 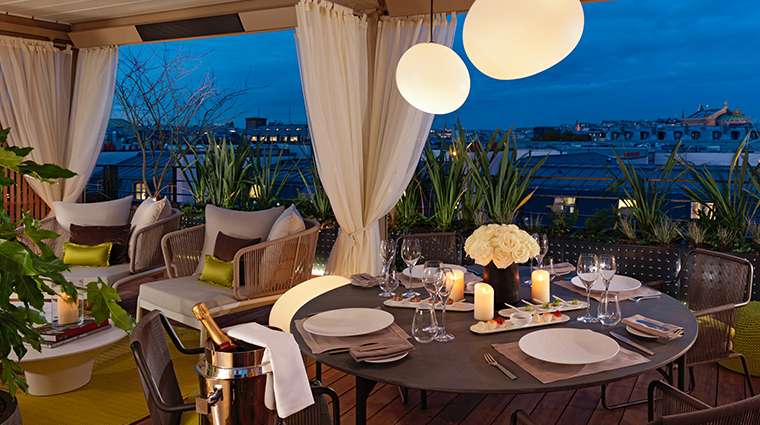 Signature restaurant Sur Mesure Par Thierry Marx is a favorite among Parisian foodies. 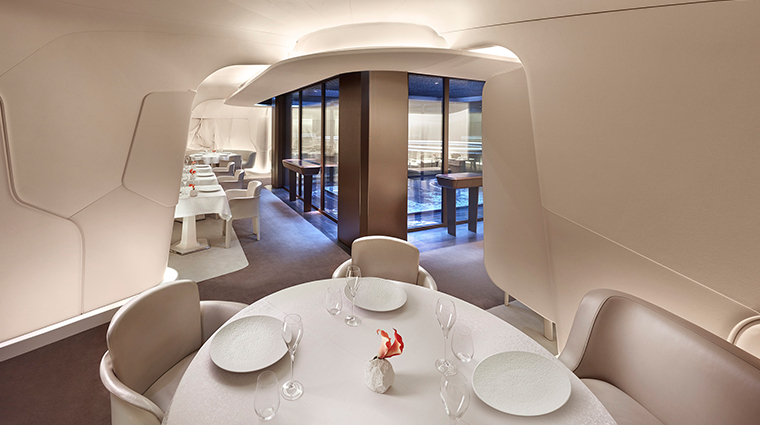 The gastronomic haven serves helmed by chef Thierry Marx is bathed in white, and inspired by the area’s haute couture houses. Marx’s menus combine flavors of the Orient with the artistry of French cuisine. Bar 8 is a chic little spot ideal for a pre-dinner drink. 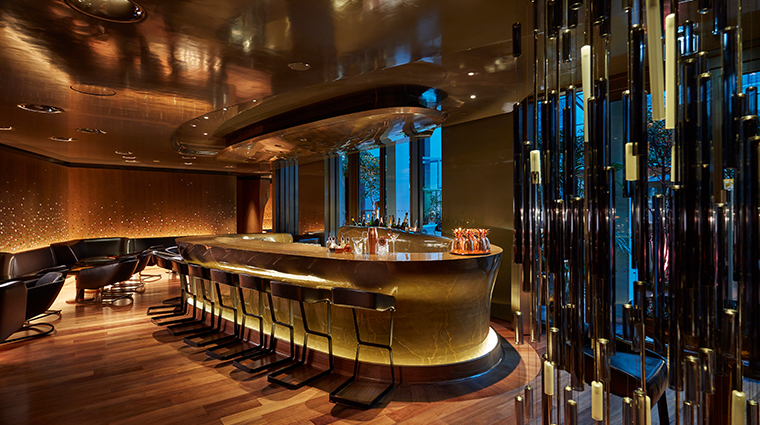 It features dark wood walls inlaid with Lalique crystals and a nine-ton block of brown Spanish marble that serves as the bar. 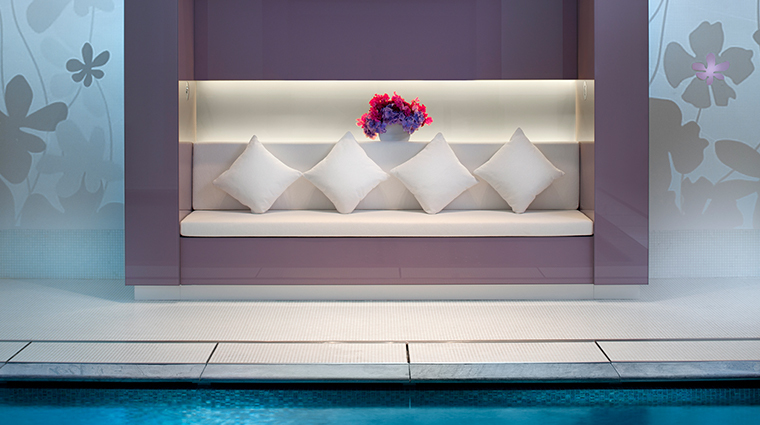 The sumptuous lower-level spa has treatments that combine ancient practices with modern techniques and products. Lining the entry walls are works of art from area galleries that rotate about every three to four months. 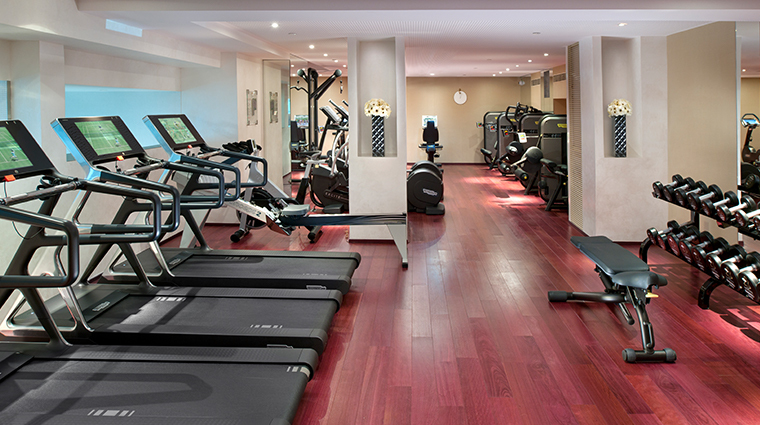 The 138-room hotel has several room types to choose from, including those with private balconies and seven split-level suites. Equipped with the latest in technology, rooms include television and audio by Bang & Olufsen, high-speed Internet, and interactive entertainment system. The large, modern rooms are filled with contemporary furniture made of dark wood, lacquers and chrome, which counterbalances the jewel tone palette of pink, orange and purple. Pillows and curtains are made of rich silks and taffetas. Glamorous, sensual photographs by Ali Mahdavi were shot exclusively for the luxury hotel and adorn the walls. Bathrooms are sleek and sumptuous in white marble, mosaic tiles, glass, leather, bronze and wood. 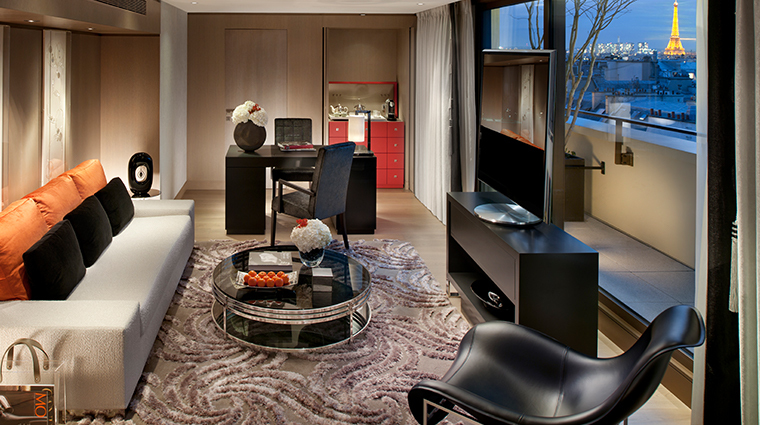 Double sinks, oversized tubs and walk-in showers are standard, as are robes by Frette and toiletries by Diptyque. 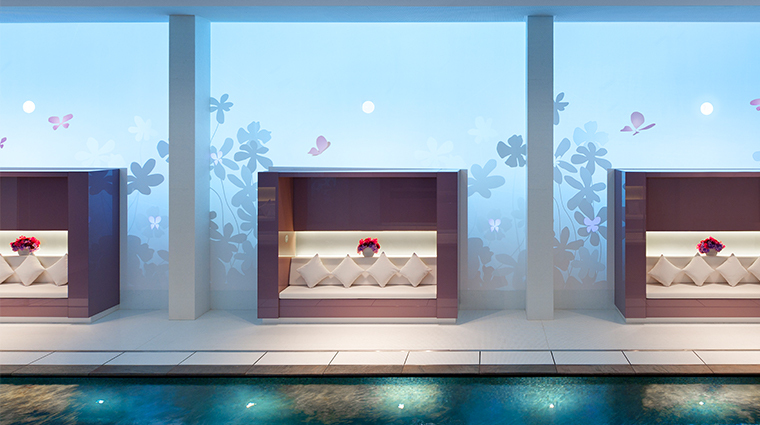 Suites have silk kimonos and Japanese toilets. 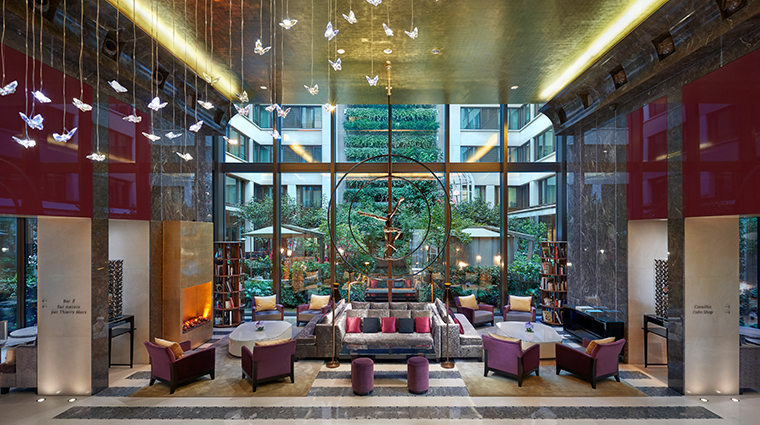 From the façade to the interior, the hotel is a prime example of Paris’ Art Deco period, though the décor has subtle Asian touches in the form of fresh orchids, butterflies and rich silk accents. Prevalent use of circles and squares are worked into the overall design theme, while traditional Western colors like gray and beige are blended with Eastern-influenced colors of plum, orange and pink. 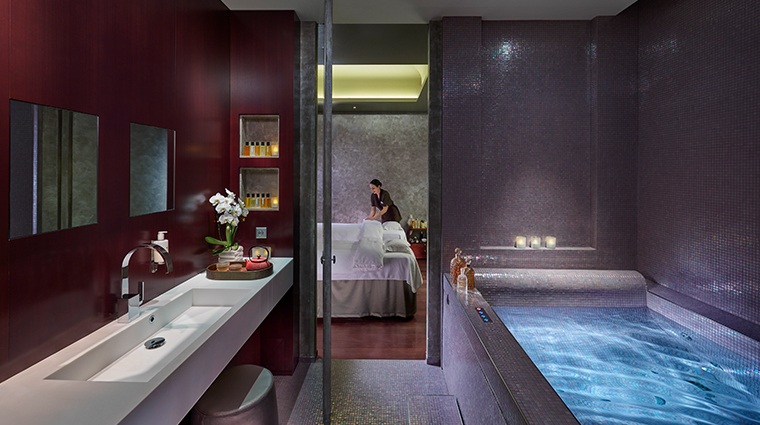 Art is a major component throughout Mandarin Oriental, including sketches, photography, bronzes and sculptures from six international artists.